November 10th was a big day for us, where we introduced the ESA BIC Switzerland to guests and media. 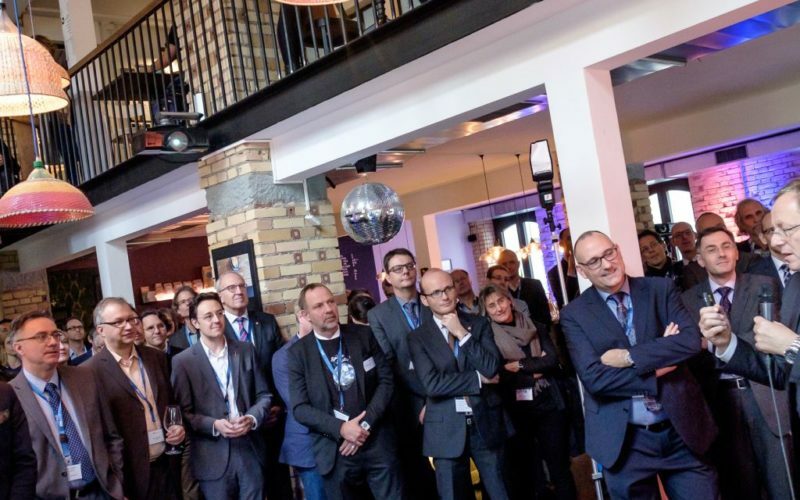 Together with partners the European Space Agency and ETH Zurich organized the first of many ESA BIC Switzerland events, bringing together a diverse group of entrepreneurs linked to the space industry. Thereby creating the first opportunity for introduction and networking between different players of the industry. In the spirit of modern business models, such as start-ups, we chose as a suitable location the Impact Hub in Zurich, where the energetic go-getter atmosphere is matched by the charm of the building and its interior. The lunch/launch affair was lead by brief talks by the driving forces of the program and short 3 minute pitches by and of the three selected start-ups. In between we had a lovely lunch served by ‘Zum Guten Heinrich’, which was completed with a celebratory cutting of the “space cake”.